for breakfast and a strong coffee for Mummy and Daddy.. 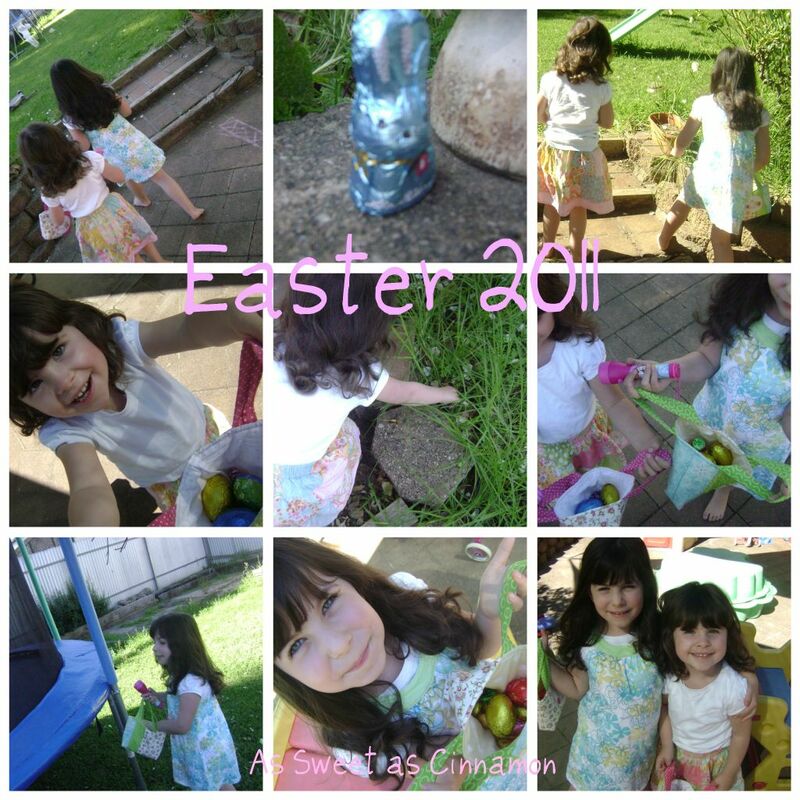 I did finish the two little bags for their Easter treats, and they loved them..
our traditional Easter Egg Hunt in the garden. Yumm YumYummy, lots of eggs to find and some tricky spots too..
We collected eggs, bunny's, and little chicks too. than spread it out over the week...so Eat them Eggs! Lots of water to drink now though. we are getting together with some friends for lunch..
What a wonderful way to be woken. LOL. It has been many years since I had to get out of bed early. I also had Cross Hot Bun for brekky. Sounds like you all had a wonderful Easter! Ours is just getting started here. And it's raining, so we'll be having a day inside. What a lovely way to start the day... your wee bags are so cute! 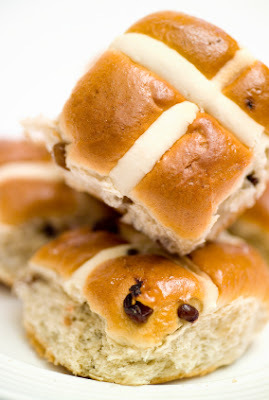 Happy Hot Cross Bun Day! Your girls look like they had heaps of fun.Cute wee bags. Happy and Blessed Easter, Dawn!!! Oh those darling, darling girls - how sweet - Happy Easter to you and yours, dear Dawn! One a penny, two a penny Cross Hot buns!!! Happy Easter to you and your family, Dawnie!! I love your new blog header! And I love the pics of your cute girls... with their special bags! Gorgeous!! Glad you had a lovely Easter - the little goody bags are so cute! Oh, I remember those days of Easter egg hunts with my children. Such fun. Looks like it was a glorious day.